The Paisley “Wee Dig 2017” is taking place from 18 to 23 September 2017. This project will investigate a previously unexplored part of the Abbey Drain site excavated to shed light on what lies beneath alongside a programme of events to allow people to get involved. This ties in with ambitions set out in the town’s bid for UK City of Culture 2021. The project has been funded through the Heritage Lottery Fund’s (HLF) Stories, Stones and Bones programme as part of the Year of History, Heritage and Archaeology. Paisley’s iconic 12th century Abbey is an outstanding architectural gem in the town and was also the cradle of the Royal House of Stewart as a number of the Stewarts were buried within its walls. It is also believed that Robert II, the first Stewart king of Scotland and the grandson of Robert the Bruce, was born within the walls of Paisley’s Abbey. The Abbey also has a fascinating underground history – the magnificent medieval Abbey Walkway. 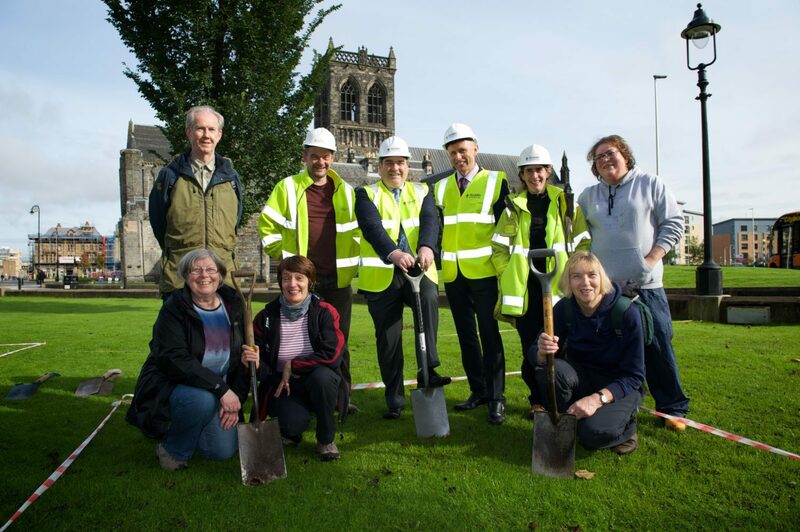 The “Wee Dig 2017” will expand what is already known about Paisley’s monastic past as well as inspiring some budding archaeologists of the future. Leader of Renfrewshire Council, Cllr Iain Nicolson said: “The ‘Wee Dig 2017’ celebrates our town’s unique history and heritage and is a great way for the public to learn more about Paisley’s past and learn new skills in the process. GUARD Archaeologist, Bob Will, said: “The drain is an amazing architectural structure. It’s so well built and very detailed – it’s a very interesting structure to investigate. 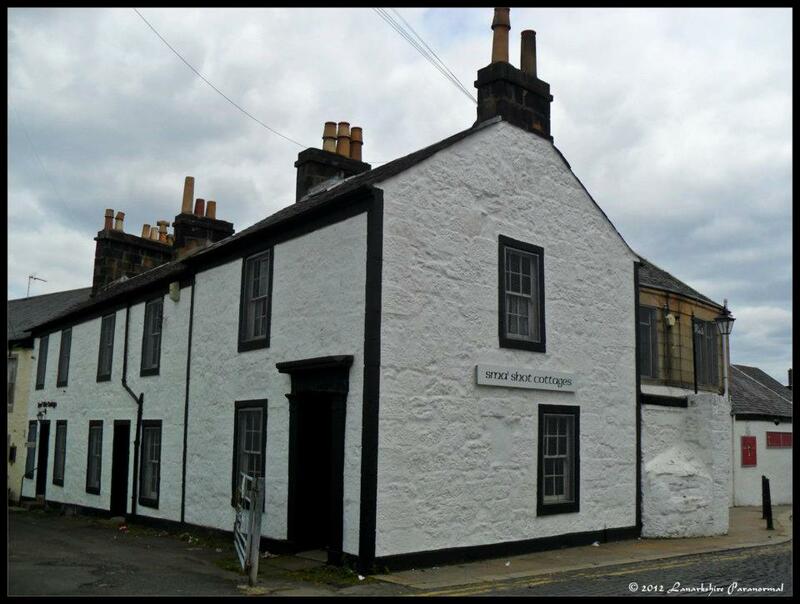 Do you know about the Sma’ Shot Cottages? Come along and have a lunchtime cuppa with us and learn more about Paisley’s history and the weaving industry in particular. A series of three talks will be held in Sma’ Shot Cottages, 2 Sma’ Shot Lane at 1pm on the following three Wednesdays…the 6th, 13th and 20th of March. Entitled ‘George Place and Shuttle Street in the past’, ‘Sma’ Shot Cottages today’ and ‘Local Studies’, a warm welcome (and a cuppa!) awaits all. All talks are Free of charge..
St Mirren welcome Motherwell and Michael Higdon to St Mirren Park this week. Big Higgy still goaless for the season and hopefully this continues for this game. Saints had a blow to deal with this week with last seasons player of the year Darren McGregor out for most of the season with ligament trouble, we wish Dazza a speedy recovery.